Please read these Terms and Conditions ("Terms", "Terms and Conditions") carefully before using the dlscorp.com website. If you wish to purchase any product made available through the Service ("Purchase"), you may be asked to supply certain information relevant to your Purchase including, without limitation, your name, address, phone number, email address, and credit card information. We will not disclose this information except as required by law. Our Service allows you to post, link, store, share and otherwise make available certain information as text, ("Content"). You are responsible for the information that you provide. Our service will have exclusive right to determine whether the material is inappropriate and may be removed. Our Service may contain links to third-party web sites or services that are not owned or controlled by DLSCorp. DLSCorp has no control over, and assumes no responsibility for, the content, privacy policies, or practices of any third party web sites or services. 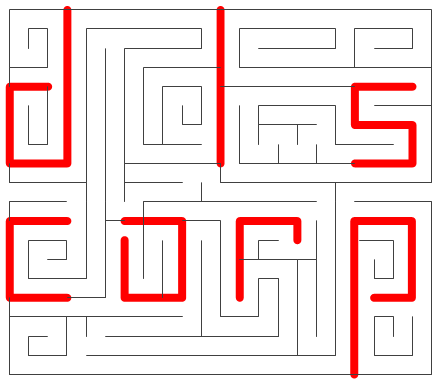 You further acknowledge and agree that DLSCorp shall not be responsible or liable, directly or indirectly, for any damage or loss caused or alleged to be caused by or in connection with use of or reliance on any such content, goods or services available on or through any such web sites or services. 1. We will ship all in-stock orders in 1-3 business days after your payment has been authorized, or your check has cleared. 3. Please check the contents of the parcel before signing for your goods. If you do not, we can’t be held responsible for any damage that may have occurred in transit. 4. We will ship according to the shipping address you provided, please notify us any address change before your order is marked “Shipped” to avoid parcel loss. You can cancel an order free of charge if we receive your cancellation request before your order is processed (when you place your order, we only authorize the charge to your credit card; we do not charge anything until we ship your merchandise). However, once the credit card company has processed your payment, they charge us a fee, so there is a 3.0% credit card processing fee to cancel an order if we receive your request after your payment has been processed. Please contact us as soon as possible if you would like to cancel or change your order. If you are not satisfied with product you bought, for whatever reason, it is possible to return it for refund within 30 days of receipt. You must first contact us for return authorization. The warranty only cover defects in labor and material. Abuse, mistreatment, accidental dropping, liquid spillage, etc. are not covered by the warranty. All ArduCAM products carry a manufacturers warranty for 30 days from date of purchase. Unless noted, all other products carry a warranty of 1 year from date of purchase.